We recently heard from our alum, Jean-Charles Fosse, about some of the exciting things he's been doing since he finished his Intern USA program. Since taking on an engineering technology internship with Ondax, Inc. from 2015 to 2016, Jean-Charles has started his own company! We caught up with him to find out how the lessons from his internship carried over to his career. 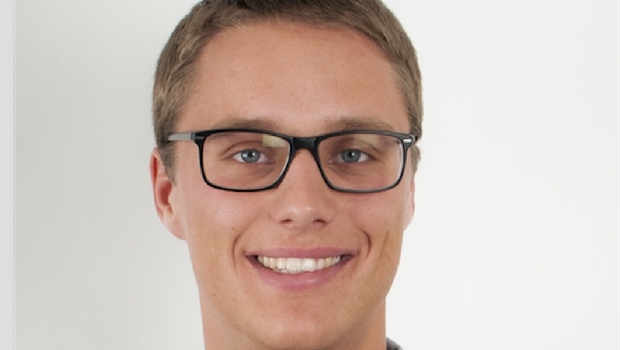 Intern USA alum Jean-Charles Fosse is the co-founder of ThinkEE. You did an internship program through InterExchange from 2015 to 2016. Can you tell me about your internship? Yes, I did an internship from September 2015 to March 2016 in Monrovia, Los Angeles County. I worked at a small company - 12 employees - called Ondax Inc. in order to achieve my master's thesis. I mostly worked as a software engineer on a new product the company was developing. This InterExchange program was a great opportunity as it was promoting both work and culture. Indeed, I did a one month road trip before starting my internship across the U.S. West Coast: California, Nevada, Arizona, and Utah. What were the most important lessons or skills that you learned during your internship? During this internship, I learned so much on a technological point of view. It's definitely been an opportunity to apply what I learnt back in Switzerland but also to complete my formation. I had been doing software development before but never for a product that will be sold. I had to be sure to meet the product specifications, which was exciting. I did learn to manage a project and see how a company is working day to day. Jean-Charles took advantage of his proximity to the Pacific Ocean. Did you get a chance to do anything fun with your time off while you were in the U.S.? Yes; beside working, I had time to explore LA and to do a lot of sports as it’s always sunny at LA. I did quite a lot of running in the mountains of North Pasadena. I was training in the morning when it is not too warm. The views of LA and the Pacific were amazing. Moreover, we were going surfing with friends on the weekend. 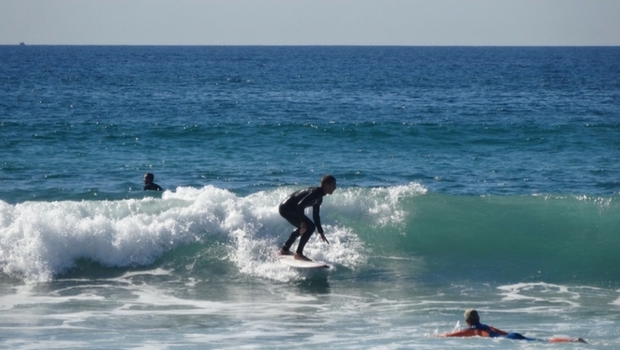 I already did a bit of surfing in France but nothing compares to California, as it is one of the best places to surf. It was a good excuse to travel across California. I definitely enjoyed it. I understand you started your own company since graduating from university. What does your company do? I started my company with a friend in July 2016, called ThinkEE. 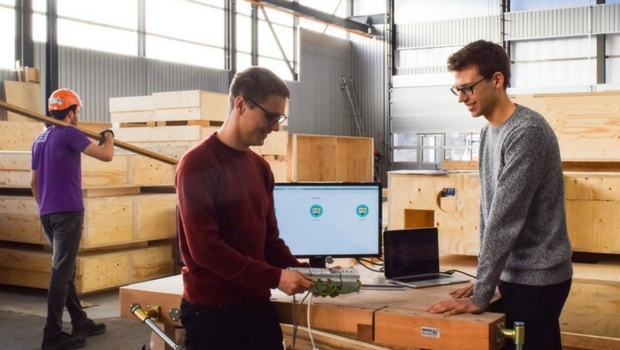 We are developing a solution for companies willing to use IoT (Internet of Things) either to improve their business efficiency, or to pass from a non-connected device to a connected one in order to propose new features to their customers. In both cases, the companies do not have the resources to fully develop an internal solution because it is time, effort, and cost consuming. Moreover, that assumes a high level of knowledge. At ThinkEE, we're developing a fully customizable software made to manage, monitor, and control any kind of devices. This allows them to obtain an adapted solution to their needs quickly and effortlessly. Compared to alternatives, we also provide services to advise our customers and to seamlessly integrate our solution. Jean-Charles and his partner at work. What is your company’s most interesting project to date? Can you tell me about it? I would say that our most interesting project is our partnership with the Swiss Team for the U.S.Department of Energy Solar Decathlon 2017. In order to win this international competition, students from universities around the globe have to design and build the best life-size scale, fully operational, solar-powered pavilion. Our solution will be used to manage all the devices in the pavilion. It is a great experience as our first project. We are thrilled to help them participate and create an incredible pavilion. How did your internship influence your decision to begin your own company? Did it change how you thought about your opportunities? I really enjoyed working for a company, but I was missing the responsibilities. It is exciting to see each step of a developing project, but it is more enjoyable to be the one leading it. Moreover, I decided to be an entrepreneur while I am still young and do not have much financial and family responsibilities. I want to use my youth and energy to succeed in my project. Are you still in touch with any of your colleagues at Ondax? If so, how have they been helpful to your career? Yes, I am still in touch with some of my colleagues. I would say they have been indirectly helpful by sharing their experience from different worlds (either business or academic). It gave me some insight and a better understanding of the professional world. What are the next steps for you and your company? What projects are on the horizon? We are still developing our technology and alongside, we are looking for clients. We have projects undergoing in different industries and we hope that one of them will end up as our first customer. Our next step mostly concerns marketing and business development, which is completely different from my background. Wish me luck!